He took over the cat tree from Kboo. 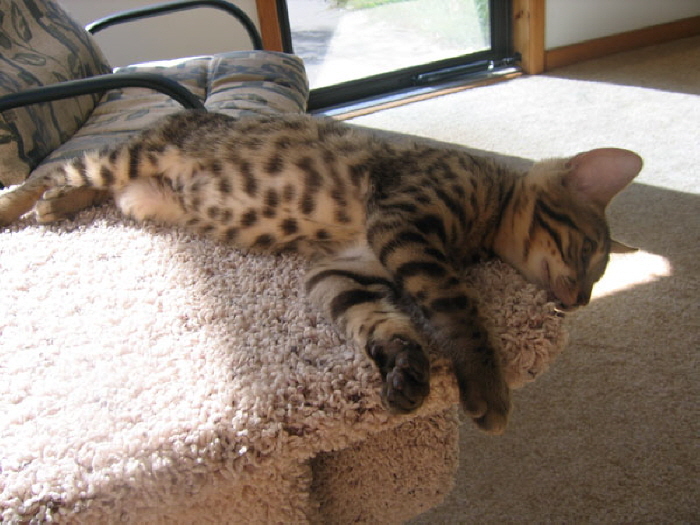 Notice his beautiful spots and large ears and paws. We're hoping he'll grow into both!